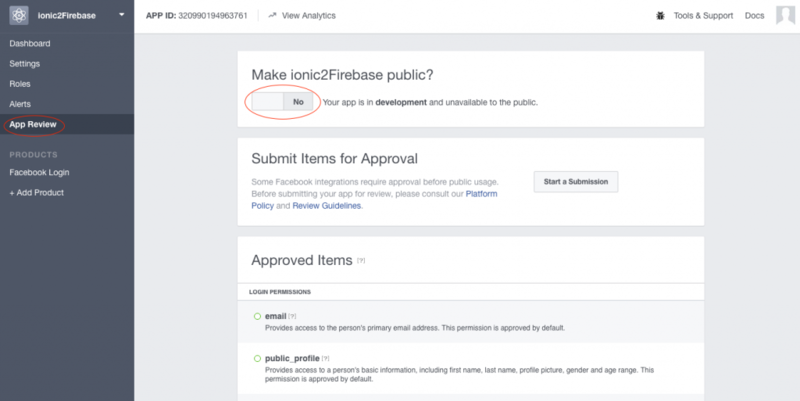 This post is based on my previous post Ionic 2 and Firebase authentication. You can download the code on GitHub at https://github.com/henkie14/ionic2Firebase. 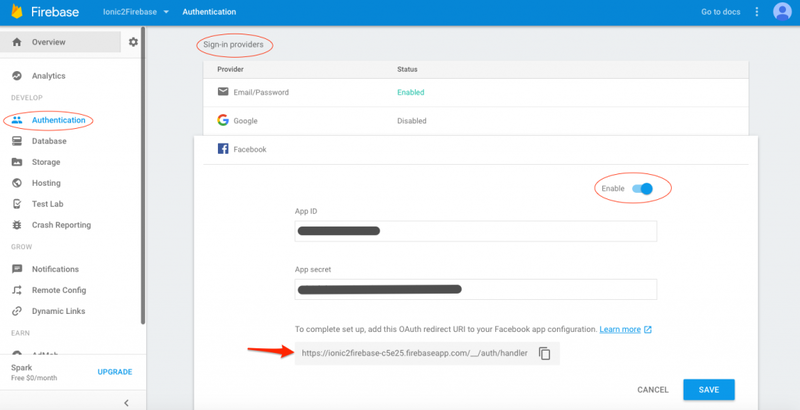 Make sure you change the Firebase configuration in the app.module.ts file. The auth import from Firebase is needed since AngularFire2 doesn’t have support for the FacebookProvider (yet). This is why it’s important to use the correct firebase (3.3.0) and angularfire2 (2.0.0-beta.6) versions. Otherwise you might end up with a lot of ‘Duplicate identifier’ errors. Your tutorial really helped me, thanks a lot. Hope you keep doing this. I’ve been following your tutorials, they’re so helpful. I manged to get the authentication with email and Firebase working fine but I’m having some issues with Facebook. In the browser when I click the login to Facebook button it opens up a new balk popup window(as if it were about to ask for authentication) but then the window closes. 1. Uncaught DOMException: Blocked a frame with origin “https://*my-app-name*.firebaseapp.com” from accessing a cross-origin frame. The second one seems like something wrong with my firebase side of things but I’ve made sure of all the config on the Facebook side and it is all enabled on Firebase side also! I’m also using the versions of angular fire and firebase you specified. I’ve been really stuck on this issue so any ideas at all would be greatly appreciated!!!! i tried your tutorial and it works great! Thanks for that. 2. Redirect him if he is already logged in or if he log himself in. I tried with the currentUser function but it doesnt work. In the app.component.ts file you can see it’s already implemented. 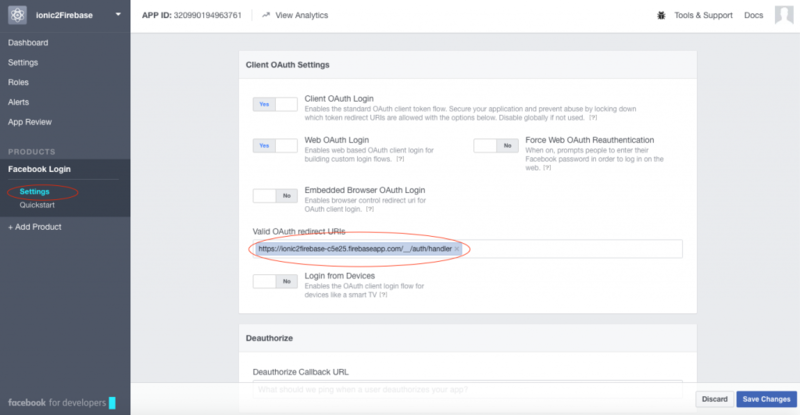 You only have to redirect to another page (set the rootPage to your homepage). how do I make this in ionic 3 after they update angularfire2? they way you did not works. hello, can you please update the tutorial? how can I do that in ionic 3 after firebase update to latest angularfire? I tried your way and it’s not working. Just tested it and it all works, are you sure you are using the correct Facebook App_Id and App_name?